Fire and ice come together to create a truly unique piece for you pool, patio, or yard! This 30-inch fire pit is perfect for lighting warm, cozy fires in but the stainless steel bowl also offers another tantalizing alternative - clean it out and fill it with ice to function as a party cooler for refreshments! This fire pit also comes with a large spark guard to place over your fire and ensure that the flames and embers stay in the bowl. Built out of durable steel this fire pit will make a welcome addition to any outdoor area - hot or cold! Lane 30-inch Wood/Charcoal Outdoor Fire Pit Fire and ice come together to create a truly unique piece for you pool, patio, or yard! This 30-inch fire pit is perfect for lighting warm, cozy fires in but the stainless steel bowl also offers another tantalizing alternative - clean it out and fill it with ice to function as a party cooler for refreshments! This fire pit also comes with a large spark guard to place over your fire and ensure that the flames and embers stay in the bowl. 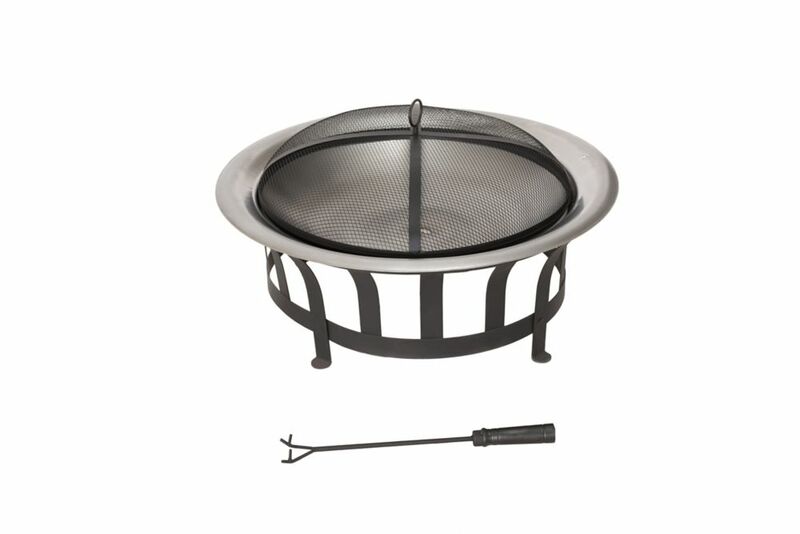 Built out of durable steel this fire pit will make a welcome addition to any outdoor area - hot or cold!